Tin: Mineral information, data and localities. Old English origin, related to dutch "tin" and german "zinn". 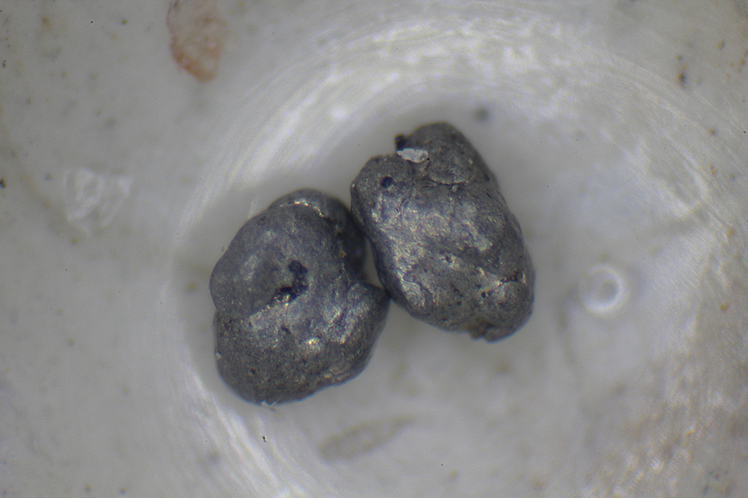 Occurs as greyish metallic grains and nuggets to 1 cm. Lead 3 photos of Tin associated with Lead on mindat.org. Aluminium 3 photos of Tin associated with Aluminium on mindat.org. Romarchite 1 photo of Tin associated with Romarchite on mindat.org. Gold 1 photo of Tin associated with Gold on mindat.org. Albite 1 photo of Tin associated with Albite on mindat.org. Kosmochlor 1 photo of Tin associated with Kosmochlor on mindat.org. Chromian Magnesio-arfvedsonite 1 photo of Tin associated with Chromian Magnesio-arfvedsonite on mindat.org. Palache, C., Berman, H., Frondel, C. (1944) The System of Mineralogy of James Dwight Dana and Edward Salisbury Dana Yale University 1837-1892, Seventh edition, Volume I: 126. Proceedings of the American Philosophical Society: 23: 30. US National Bureau of Standards Circular: 359. Fleischer, M. (1967) New mineral names. American Mineralogist (1967): 52: 299. Vesselin M. Dekov, Hålenius, U., Billström, K., Kamenov, G.D., Munnik, F., Eriksson, L., Dyer, A., Schmidt, M., Botz, R. (2009) Native Sn–Pb droplets in a zeolitic amygdale (Isle of Mull, Inner Hebrides). Geochimica et Cosmochimica Acta: 73: 2907-2919.
ⓘ Kitticoola Mine (Great Wheal Orford; Plush and Omond; PM 53; Reedy Creek; Tungkillo) ? Anthony, Bideaux, Bladh, Nichols: "Handbook of Mineralogy", Vol. 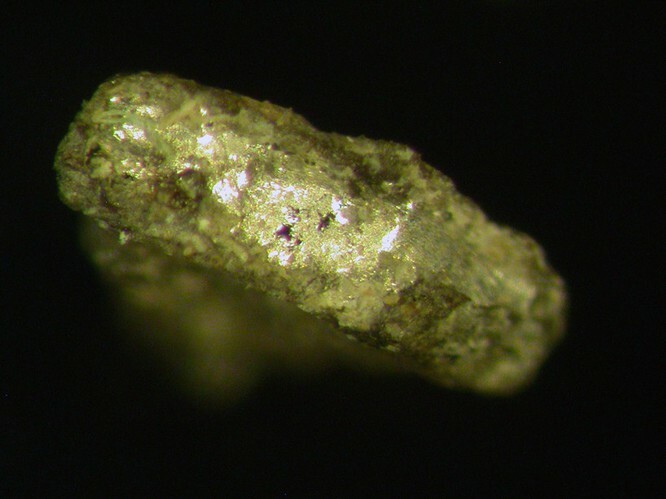 1, 1990; Jack F. B. Silman (1954) Native tin associated with pitchblende at Nesbitt LaBine Uranium Mines. American Mineralogist 39:529-531. Xie Yuling, Hou Zengqian, Xu Jiuhua, Yuan Zhongxin, Bai Ge, and Li Xiaoyu (2006): Science in China, Series D (Earth Sciences), 49(6), 597-603. Knauf, V., Sandberg, E., Sokolov, P. and Tabuns, E. 2000. Gold geochemistry and mineralogy of till. A new approach for data integration. bulletin of the Geological Society of Finland Volume 72 (1-2) 57-69. AA. VV., 1996. Collezionare minerali. Hobby & Work . MONTRASIO A., SCIESA E., VIGNOLA P. (1996) – Collezionare minerali – Hobby & Work, Ed., Milano, 800 pp. 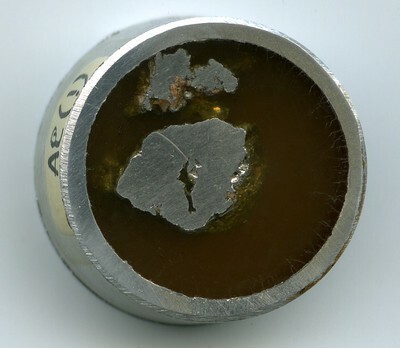 Vesselin M. Dekov, Ulf Hålenius, Kjell Billström, George D. Kamenov, Frans Munnik, Lars Eriksson, Alan Dyer, Mark Schmidt and Reiner Botz (2009): Native Sn–Pb droplets in a zeolitic amygdale (Isle of Mull, Inner Hebrides). Geochimica et Cosmochimica Acta 73, 2907-2919.
ⓘ Orleans placer (Stony Bar Mining Company; Wilder claim; Bar Placer Mining Company; Graham Flat claims) ? Murdoch, Joseph & Robert W. Webb (1966), Minerals of California, Centennial Volume (1866-1966): California Division Mines & Geology Bulletin 189: 367.
ⓘ Columbia area occurrences ? Josef Vajdak (1999) Mineral News, 15, #7, 2.